Holiday Windows Are Back – & Don’t Miss These Other South Philly Displays! They’re back! This evening, we lit our 27 holiday windows with portraits of the many great neighbors, shop owners, and dogs (lots of dogs…) we’ve met since moving to South Philadelphia in 2012. So, if you’re dining or playing near the “Singing Fountain” between now and New Year’s Day, we hope you’ll check out our windows at East Passyunk Avenue and Tasker Street. Our first holiday display in December, 2013. 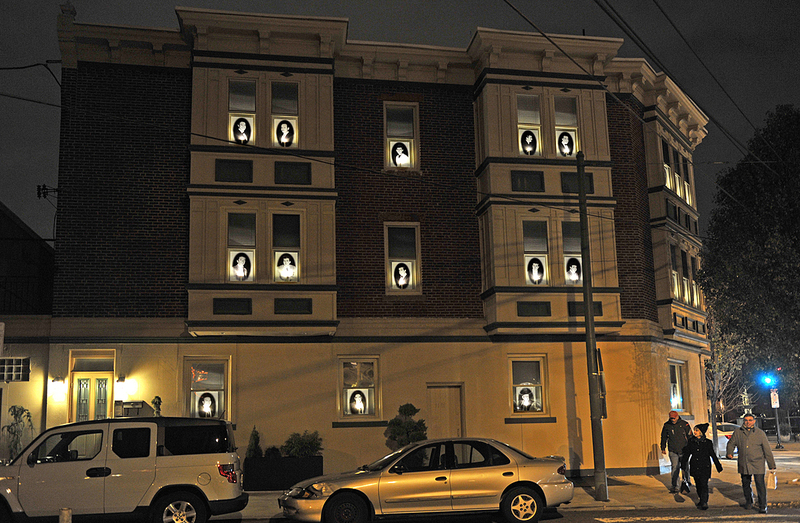 South Philly Celebrity Windows Are Up! Bobby Rydell, Fabian, Al Martino, Buddy Greco….Ed Hurst, Cozy Morley, Len Barry….Phil Jaye, Guy Marks, Al Fisher and Lou Marks….Joey Giardello, the Day Brothers…. Fifty years ago, you couldn’t walk down a South Philadelphia street – or enter a club – without encountering one or several of them. And now, for the month of January, they’ll be smiling back down on the neighborhood. Neighborhood Holiday Windows Are Up! They’re back! On Sunday, we lit our 27 holiday windows with portraits of the many great neighbors, shop owners, and dogs (lots of dogs…) we’ve met since moving to South Philadelphia in 2012. 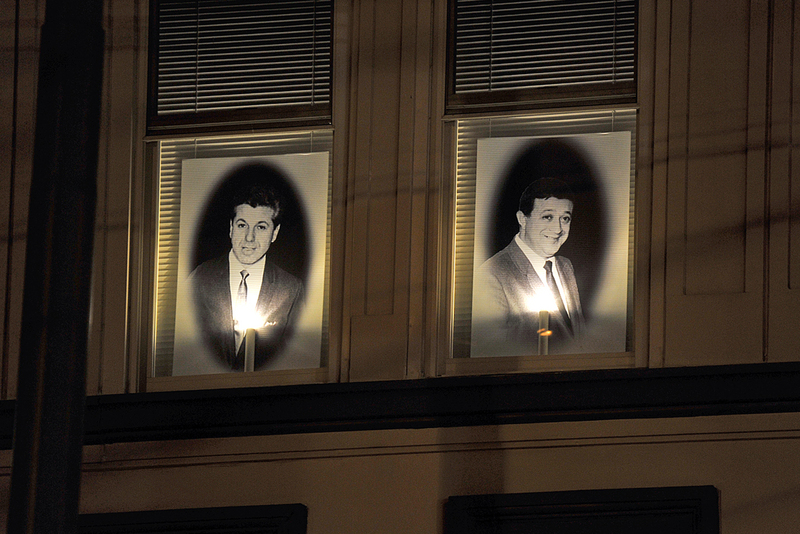 It was the last weekend of November, 2014, and we were celebrating our new holiday display: 26 lighted photos of South Philadelphia celebrities – drawn from our star-packed 1960s photo album – looked down from our windows onto E. Passyunk Avenue and Tasker Street. Feeling festive, we headed out to Stogie Joe’s Tavern for a square pie with sausage and broccoli rabe. It was the perfect choice: Stogie Joe’s Passyunk Avenue building once housed the gym where boxer Joey Giardello trained, and Joey was among our window celebrities. But, like everything related to Art Tavani’s magical South Philadelphia photo album, the coincidences didn’t end there…. Soon we were comparing appetizers with the people at the next table.